Have you bought any wine recently from Schwarz Lebensmittel-Sortimentsgroßhandlung? Didn’t think so. You may have bought a wine from Lidl though, which is the surname Dieter Schwarz acquired for 1,000 German Marks from Ludwig Lidl because the former name was too long, and Schwarzmarkt, or Black Market, probably wasn't a great idea for a retailer. I say retailer because Lidl’s EDLP, ok, everyday low price policy, is not based on discounting so much as a limited, no-frills range without the treacherous razzmatazz of promotions. Both Aldi and Lidl have made great strides at the expense of the Big Four recently thanks in part to a concerted attempt by both to up the wine ante. Having recently reported on Aldi’s approach, it was an eye-opener to see a rather different strategy being adopted by Lidl’s head drinks honcho, Ben Hulme, all of 27 years old. While both have a core wine range based on limited quantities and value, Ben Hulme was inspired by the Foire aux Vins in French supermarkets to bring in a four-times-a-year seasonal selection. In the unlikely setting of the St.Pancras booking office, with bewildered commuters’ tongues hanging out thirstily, Lidl introduced the autumn collection. 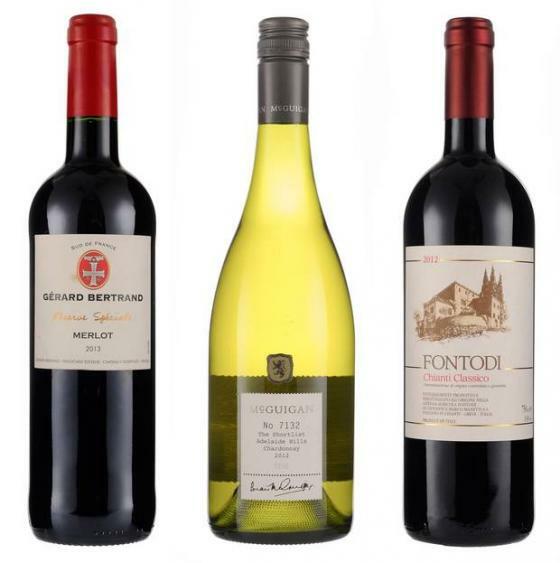 Chosen from 3,000 wines at an expo in Paris, the French Wine Session is a range of 40 wines which appeared on the shelf on Thursday and will be available while stocks last. Last year’s collection was a tad Bordeaux-centric, and although reduced in number, there are good buys in the cedar-scented, richly juicy Right Bank clarets, the 2011 Château de la Dauphine, Fronsac, £14.99, a sweetly smoky and dark-fruited 2011 Jean de Trimoulet St Emilion Grand Cru, £10.99, and, from the Médoc, the impressive 2012 Château la Tour de Bessan, Margaux, £16.99, all vanilla and cassis core in fresh, balanced style. Classic white burgundy meanwhile gets a look in with an excellent value, richly nutty and zingy 2014 De Marcilly Bourgogne Hautes Côtes de Beaune, £8.99, and apple and pear-fresh 2014 De Marcilly Rully, £9.99. On the refreshing whites front, there is a bracing, melon rich and zingy-fresh 2014 Muscadet de Sèvre et Maine, aptly named Grand Fief de Retail, £5.99, an aromatic, zesty and appley Sancerre-alike 2014 Fiefs des Comelias, Reuilly Cuvée Prestige, £8.99, and two unusually distinctive whites, the 2014 Le Cellier Savoyard Apremont, £6.49, a floral, fragrant appley Savoie white and from the Jura, a distinctive, farm-buttery, saltily dry 2013 Clervigny Arbois Réserve, £8.99. It may feel premature to be talking winter wines, but it’s well worth stocking up on the youthfully, pepper-spicy, sweet and sour plum fruity 2014 Serabel, Côtes du Rhône Vllages, Chusclan, £5.99, a herby, garrigue-infused 2014 Domaine de l’Estagnol Minervois, £6.99, and bright, spicy, plum and raisin filled 2014 Vacqueyras, £8.99, with delicious damson-filled bite. The bottle shoulders may be as broad as rugby star Gérard Bertrand’s, but the sweet dark cherry and plum-centred wine is seductively rich with a polished oak veneer and a St Emilion like grip and elegance. £8.99, Morrisons. A stylish South Australian chardonnay from McGuigan’s superior Shortlist range, showing aromatic tropical fruit and nuttiness and plenty of richly full-flavoured, ripe peachy fruit with polished oak bringing a restrained, dry burgundian feel. £11, down from £13.97, until Thursday, Asda. Classic dark fruit fragrance shaded by subtle spicy oak and sweetly ripe black cherry fruit tempered by a damson-sourness with textured muscle and fresh spine. £20.15 - £21.99, Freerunjuice, Harrogate Wine, Noble Green, Philglas & Swigott, Valvona & Crolla, Noel Young.